My three year old daughter recently picked up the habit of using a paper towel role as a telescope. She looks through one end of it and shrieks “I can see you!! !” with a glee level adults only summon when they imagine winning a record Powerball jackpot. 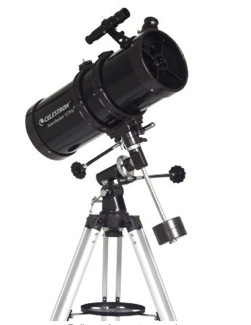 Given how important it is in my house to emphasize scientific exploration, the purchase of an actual telescope – one that succeeds in making objects appear closer than they are – would be a natural next step. But how complex does an optical toy need to be in order to truly fit her needs? The cardboard towel roll is neat, but what really would be the options and the theoretical ROI if we were to step as a family into telescope purchase. Level One – the kid’s telescope. Please note, this is not my daughter. Lets face it, she’s not going to plot the face of mars with this one. It’s relatively cheap, it’ll be thrilling for a little while once she figures out which end of it she needs to look through. Build to withstand childhood, it’ll hold up as long as she doesn’t jump on it, and it’s accomplishing the relatively modest organizational goal of magnifying far away objects. It can’t be re-used as a microscope, but it doesn’t require a great deal of setup either, so she’ll use it on the car ride home. Level 2 – The adult’s telescope. This one will hang around for life, but it’s going to be a beast to carry everywhere. One solid smack with an mischevious three year old hand and you’ll spend the rest of the evening re-calibrating it, missing the pass-by of the international space station. By god it’ll show her some stars though. It might spark that elusive passion for science that kids talk about with fondness during their commencement speech from MIT. But more likely it’ll end up in the closet gathering non-astronomical dust. Level 3 – The weekend trip to the McDonald observatory. Since wealthier folks than I have already built the biggest telescope in the western hemisphere, why not just pay the $10 to look through that? Aside from the fact you’re driving for ten hours, I know from experience she’s too small to look through the lens, and there’ll be the predictable meltdown over a t-shirt at the gift shop. Plus they only let the public in on Wednesday nights, which kills almost a week’s worth of vacation without seeing the ocean. 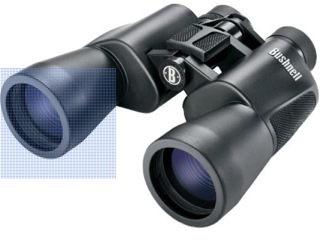 Level 4- Buy an expensive pair of binoculars. Only pull the lens cap off one side. This accomplishes everything the adult telescope would have for about the same amount of money. Binoculars aren’t expressly designed for the job but they accomplish the same thing that we started out looking to do on paper. When she’s old enough to be interested in birds she will be mighty pleased to discover the whole other side of the binoculars. Until then we’ll just invest in both sides, wait and see what happens. Level 5 – what most of us buy in the end. She’s happier than any adult can imagine with something bundled with another the bulk paper towel purchase she actively attempted to obstruct by pulling the Costco cart over on its side. Let her keep playing with the paper towel roll and put the money towards the next pair of orthopedic shoes or orthodontic spacers. 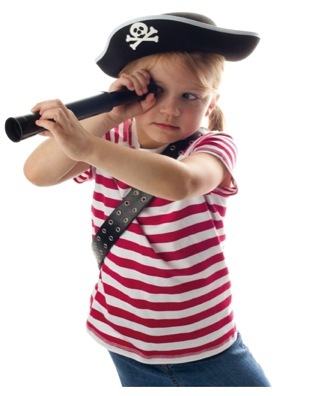 You know something bigger than it appears isn’t that far away anyway- even when you look through a purely financial lens this is a widely accepted reality of being a parent. The paper towel roll is fun for the discussion and all, but in the end you have to keep the lights on, the tuition checks from bouncing, and the servers rolling. And its here my metaphor gives in. When build for small companies we’re not competing with other software companies. We’re competing with their need to make fundamentally sound financial decisions. Approximately 30% of the opportunities in the Midmarket [space will go by the wayside at any given time for reasons outside of any feature/ function debate but because the company has other financial priorities. Value here isn’t in the acquiring of a vast number of unneeded features, an increased complexity, or retrofitting something too big or unfit for purpose. It’s in accomplishing the small mission quickly.